There’s nothing better than a holiday with all your friends and family under one roof. Making those treasured memories becomes so much easier. They somehow feel extra special with everyone there, knowing that nobody’s missing out on that quality time. A villa holiday offers all of this and more! You’ll still have plenty of your own space in a large villa, so you won’t be stepping on each other’s toes. Find out why villas for large groups are so great below. We’ve included some of our favourite villas that sleep from two to twenty of your loved ones too. So you never know, you might find the perfect one for your next adventure. Imagine trying to reserve ten sunloungers together around a hotel pool. Laying claim to them before any other early birds jump in. This would be a hard task for an Olympic sprinter, let alone someone in their swimming costume and flip flops! With a private villa there’s no panic to put out your towel first thing. 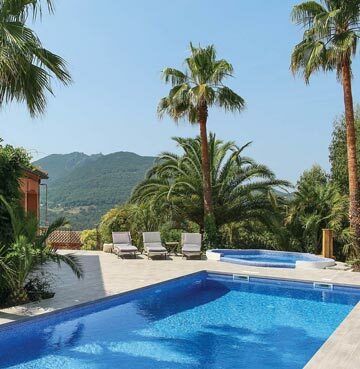 You’ll have your very own pool, where all the sunloungers are already reserved. It’s a similar scenario when it comes to mealtimes. There’s a place for everyone at your villa, with well-equipped kitchens and indoor and outdoor dining tables. Put that tricky reservation for a table of twenty on hold! Heading away for a birthday, anniversary or another special occasion? 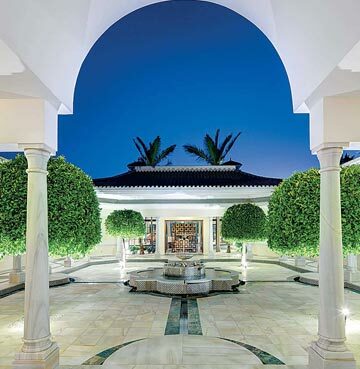 A large villa is the perfect way to celebrate, with everyone staying together for those milestone moments. And it’s all much more affordable than you might think. 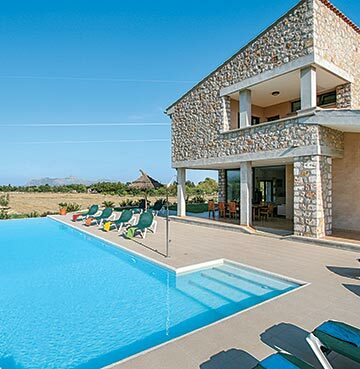 It’s a misconception that villa holidays are too expensive. 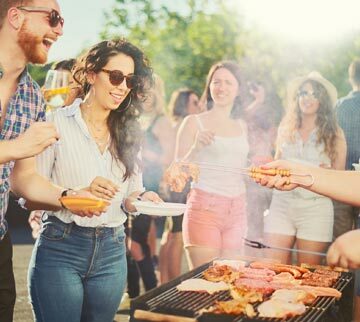 If you’re heading away with plenty of friends and family, you can spread the cost between you. Searching for a villa brimming with character? Prepare to be blown away by Solar de Vilela. 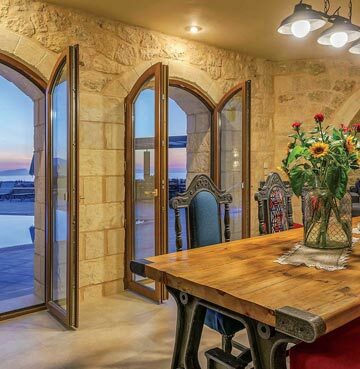 Picture wooden beams, rugged stone walls and plenty of traditional décor. 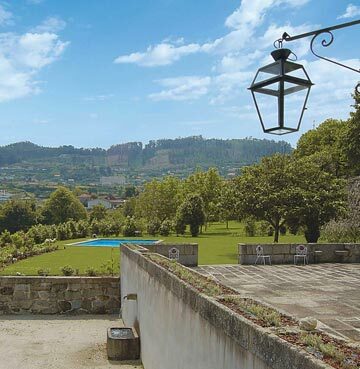 You’ll find them all in this restored 18th century manor house in Costa Verde, Portugal. The spacious terraces are the perfect spot for your whole group to enjoy the countryside panoramas. With impressive gardens surrounding the pool, there’s enough sunbathing spots for seventeen. 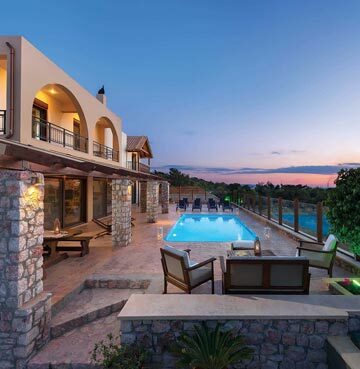 And with 9 bedrooms and bathrooms, it offers the perfect villa holiday for large groups. Butterfly is heaven for those that love the outdoors. Spread over two floors, it’s been designed to make the most of its beautiful surroundings. Views of the rolling countryside and Aegean Sea seem to follow you throughout this stunning villa. Pull up a sunlounger, take a seat on the bedroom balconies or even enjoy the scenery from an en suite bathroom. Its airy interior is just as inviting. With 6 bedrooms and bathrooms, you’ll have plenty of space. Queueing for the shower just became a thing of the past! This spacious villa feels a lot like paradise. Palm trees line the pool and Jacuzzi, where views of the French countryside make taking a dip even better. With plenty of sunloungers and seating, gather round and share the scenery. Your outdoor bar is the perfect spot to whip up some of your favourite tipples. Maybe you’ll have a willing bartender in your group? They might even deliver your drinks to poolside – we’d imagine that tipping is optional between friends? Restless sunbathers can head inside and make the most of the games facilities. There’s tables for every taste, so take your pick between pool, ping pong and table football. A game of chess might not give you that tingle of excitement. But how about a game on a giant board overlooking the countryside and Aegean Sea? Aria's terraces offer some spectacular views! Its stone walls create plenty of rustic charm and there's even more character in the bedrooms. Each one has been decorated with a theme in mind, Provençal or classic – the choice is yours. If mealtimes make for memorable holiday moments with loved ones, this villa won't disappoint. The dining room is fit for a banquet. Offering an air of grandeur and more wonderful scenery of Crete from your seat. Perfect for marking all those special occasions, Andalucia will make you feel like a holiday VIP. Imagine stepping out into your very own gardens and courtyard each morning! Although you might choose to enjoy its lavish interior instead, ideal for all those lazy mornings and evenings loved ones. Whipping up an al fresco dinner is an experience to be enjoyed in this villa. With a built-in barbecue and plenty of space for preparing the feast – it's paradise for any kings or queens of the grill. And when all the plates are cleared, head indoors to the games room and bar! A well-earned drink awaits. La Vinya Gran is likely to have you falling under its spell from the moment you arrive. As you lock eyes on its charming stone clad exterior, you get the feeling that this villa really belongs in its countryside surroundings. With your terrace and balcony you’ve got two amazing spots to take in the rural panoramas. Deceptively modern on the inside, La Vinya Gran really offers the best of both worlds. The lounge seamlessly leads you to your outdoor space and pool, so you can have a little of both all at once if you like. And with air conditioned bedrooms, expect everyone to have a restful night’s sleep. Sleeping up to 10, that’s a lot of smiles on a lot of faces.